We are supporting the school to take in children whose families cannot afford the fees, to establish a pre-school class and to undertake a major project to build a Vocational Training Centre. Following two exploratory visits in 2016 and 2017 we decided that we would partner with Umutara Deaf School (UDS) and its governing charity, Friends of Handicap in Rwanda (FHR). There are no state special schools in Rwanda and so all those serving children with disabilities are private, or semi-public, which means they get some Government support. Some of these, especially those run by churches or substantially funded by overseas organisations, are better supported than others. We have decided to work with Umutara since it has arguably the biggest funding challenge of any that we have come across. One of our trustees, Isobel Blakeley, spent 18 months as a VSO-sponsored volunteer teacher at the school and has returned on a number of occasions, the last being this autumn when she and 4 other colleagues delivered training there. Friends and colleagues have been supporting the school with donations towards its running costs since Isobel’s stay and, recently, thanks to a good friend, Karen Finch and Ipswich Rotary, the school has just opened a goat farm with 40 goats and smart new buildings. There are 118 children in the school, 86 of school age (6-18 years) and 32 in Vocational Training (18-25). There is capacity for more, but the school is unable to accept them as their budget is stretched, and many families cannot afford to pay the fees, which while small, are essential to keeping the school open. 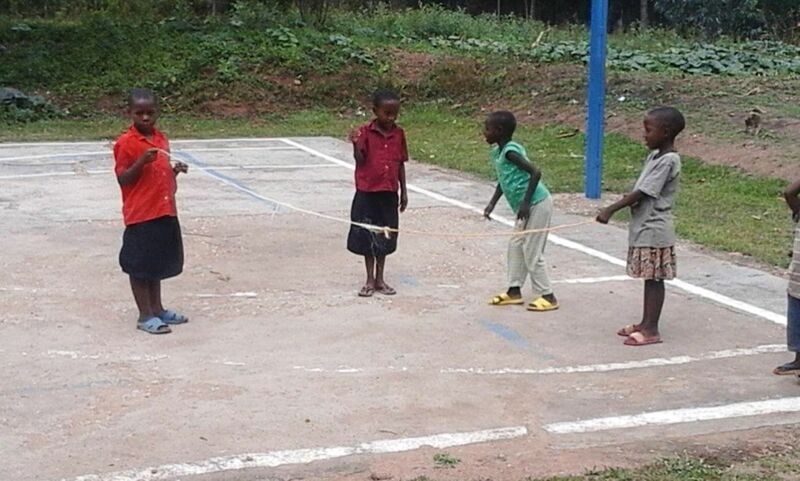 The school wishes to develop its work, both fully funding the school and growing the Vocational Training Department. A wonderful friend and colleague, HT, agreed to spend 2 months in Uganda and Rwanda, helping both Signhealth Uganda and FHR/UDS with their business planning. 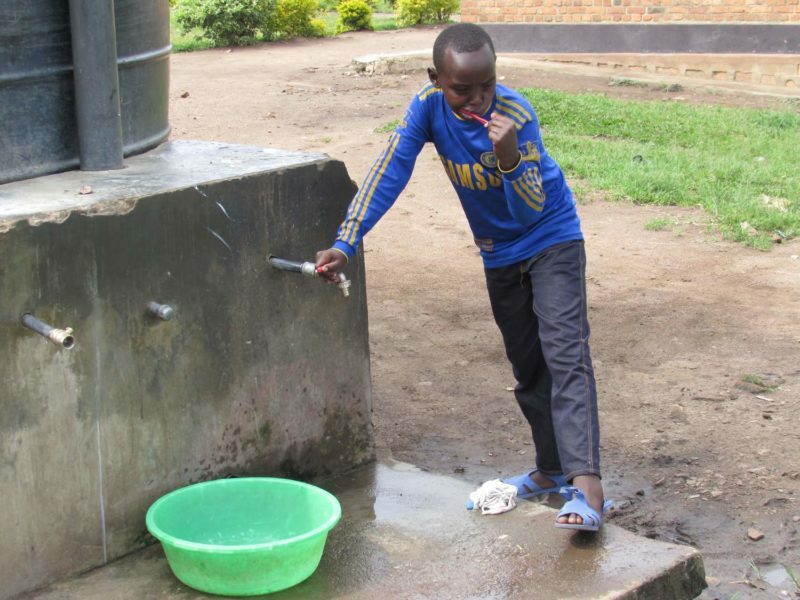 In Rwanda, within a remarkably short period of time, HT was able to help both the Friends and the School to develop their Business Plans and to identify potential sources of funding both nationally and from INGOs (International Non-Governmental Organisations). During 2018 we are helping the school to consolidate its existing work and to build up its management resources. The major project that we will be supporting in 2019 is the construction and equipping of a new Vocational Training Centre at the school, as little exists currently across the country to help deaf graduates in their transition to Higher Education or work. Prince was born in 2004. When he was only 8 years old he became ill and after a long time in the hospital he recovered but then his parents realised that he could not hear anymore. Both of Prince’s parents were born with physical disabilities. They themselves were raised in a school for chidren with special needs in Rwanda known as HVP Gatagara where they met in the Vocational Training Department and got married. They have two children, one girl and one boy (Prince). The father mends broken phones in the village, but this kind of activity is only enough to provide for basic food for the family. The parents heard about the Umutara School for Deaf Children but did not think he would be accepted as they had no money for fees. 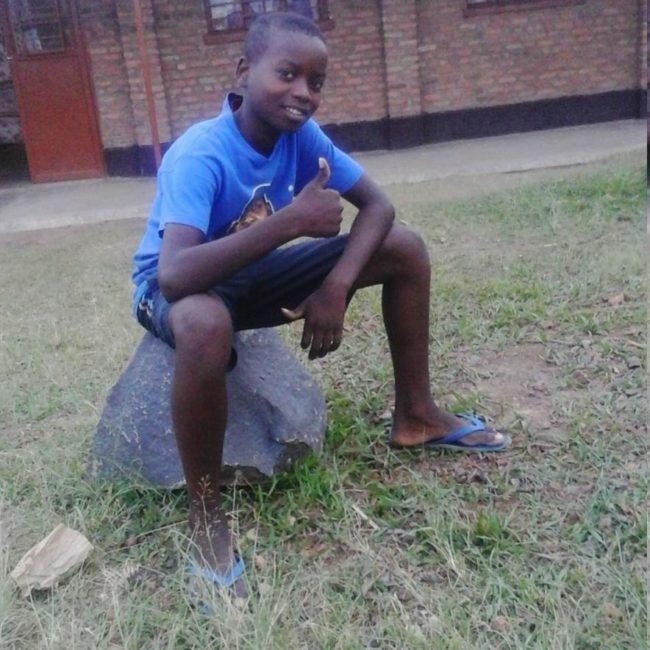 Realising his potential for learning, Elevanie Kamana, the Principal, decided to accept him without payment. Prince immediately began to learn sign language and to lip read as an alternative means of communicatioin and learning. He is also being taught speech. This year, Prince is in Primary 6 where he is being prepared by his teachers for the national exam that will be taken in October. Sandrine was born in 2011 and is the middle child of three. The eldest boy was born with physical disabilities in both legs and Sandrine as the second child was born deaf. The third child also was born with multiple disabilities so much so that she cannot walk or even sit so her mother has to carry her everywhere on her back. Her mother currently stays 3 days per week at Gahini hospital where there is a physiotherapist who is helping to improve the condition of the youngest child. Sandrine was brought to school by her mother in 2017 where she explained her situation to Elevanie the school head teacher who was touched by the family’s many challenges. Sandrine’s mother has now been abandoned by her husband, but she did not give up, as she wanted her daughter to be able to access education, giving her opportunity to learn sign language and to interact with other children like her. 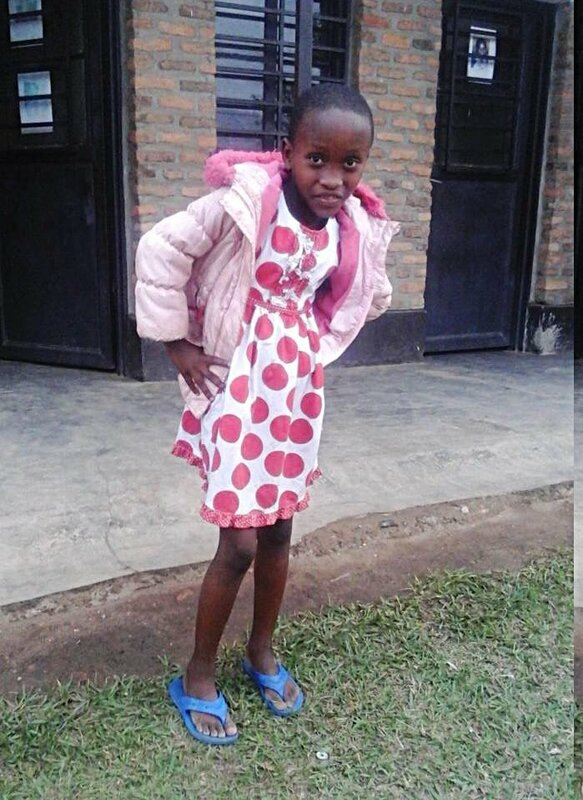 Sandrine arrived at the age of six in the middle of the school year with no knowledge of sign language, so initially she was not able to communicate with anyone and spent the first few months learning how to do so. Now she is able to express her feelings, ask questions, receive information in sign language, and she is already making progress in writing and arithmetic.. Her social skills also have improved now that she can communicate with other children and adults who sign. Here we see her playing with her new friends.